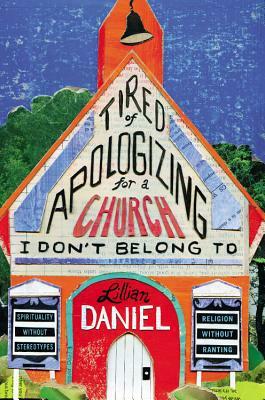 Featured in the New York Times and on PBS, LILLIAN DANIEL'S work has been described as biting, hilarious, pitch perfect, tender, and often stunningly beautiful. She has taught preaching at Chicago Theological Seminary, the University of Chicago Divinity School and at her alma mater, Yale Divinity School, but she can't be held responsible for everyone who falls asleep in church. She writes for a wide audience in the Huffington Post, Christian Century, Leadership Journal, Christianity Today, Relevant Magazine, and Books and Culture, but on Sundays you can find her preaching at First Congregational Church in Dubuque, Iowa, where she serves as Senior Minister.